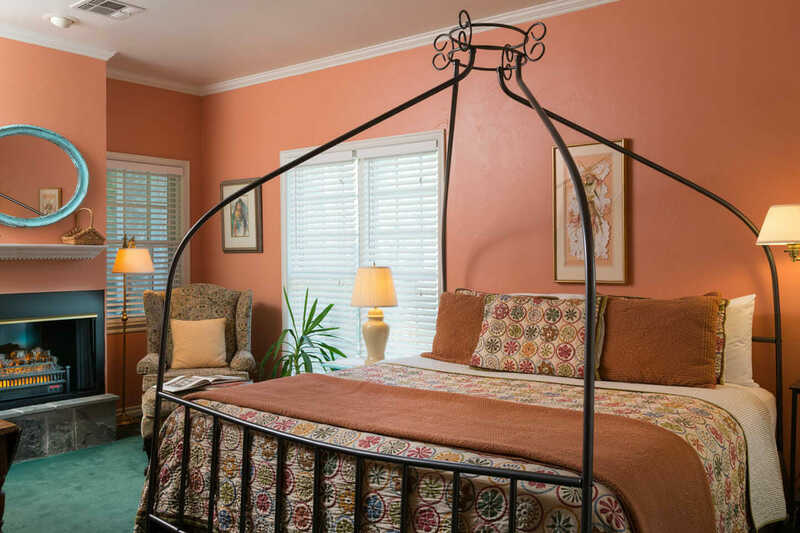 Nothing says ‘relaxation’ quite like the Marketplace Cottage featuring a large futon sofa and an easy chair with ottoman. 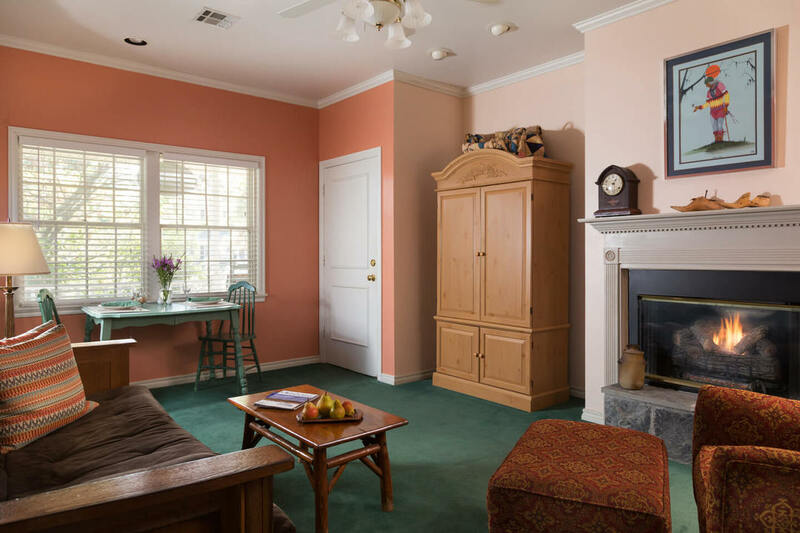 Have a seat, kick up your feet, and ease into the renewal that comes from watching a fire in the fireplace or catching the University of Oklahoma game on the entertainment center. 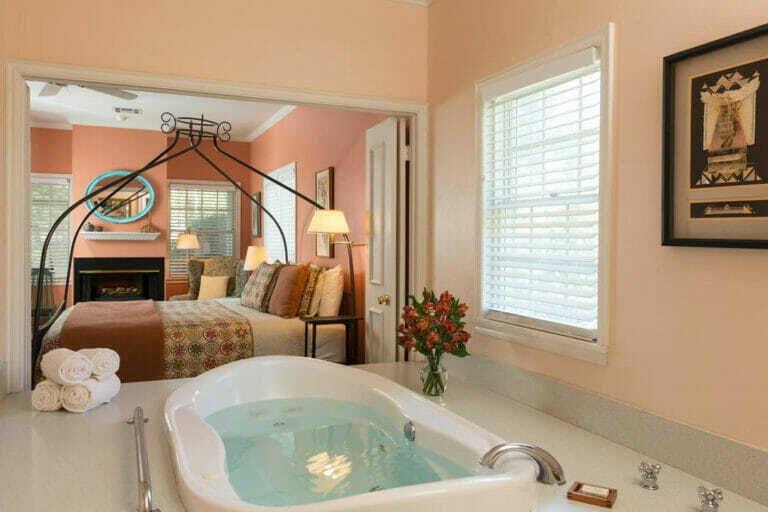 And if romance is on your travel itinerary, you’re going to love the two-person whirlpool tub and king-size crown canopy bed. 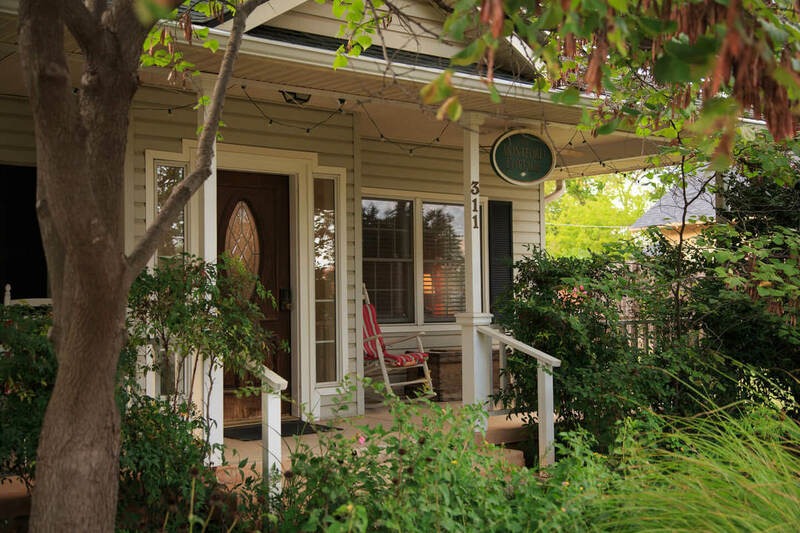 Breakfast will be served in your cottage each morning from the attentive and hospitable staff at the Inn. 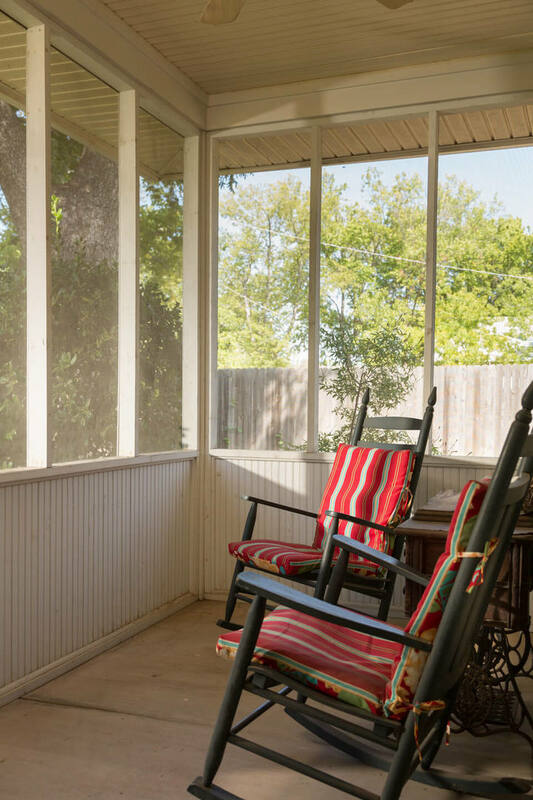 Enjoy the delicious breakfast or evening refreshment, featuring cookies and lemonade, right on your own private, screened-in porch.